Measuring cow performance shows you who your best and worst cows are. Having this infomation helps you to decide which cows you should keep replacement heifers from, and which you should cull. BW incorporates the genetic merit of an animal across eight different traits: milk protein, milk fat (kg), milk volume (l), liveweight (kg), fertility (%), body condition score, survival in the herd, and somatic cell scores. The more of these traits that you measure on-farm, the more accurate your herd Breeding Worth will become. Herd test throughout the season to know who your best and worst producers are. Herd testing allows us to determine a cow’s productive ability. Herds are typically tested on various days across the season and that information is used to estimate the somatic cell count average and the milk protein, fat, and volume yield for the season. Herd testing is more flexible than ever before. Advances in how herd test data is interpreted mean farmers can now choose how many tests to complete, and whether they’d like to sample the herd at both morning and evening milkings, or just once a day. Completing fewer herd tests or opting for a single sample herd test can save time and money, but there is a trade-off in that the production data will be less accurate. 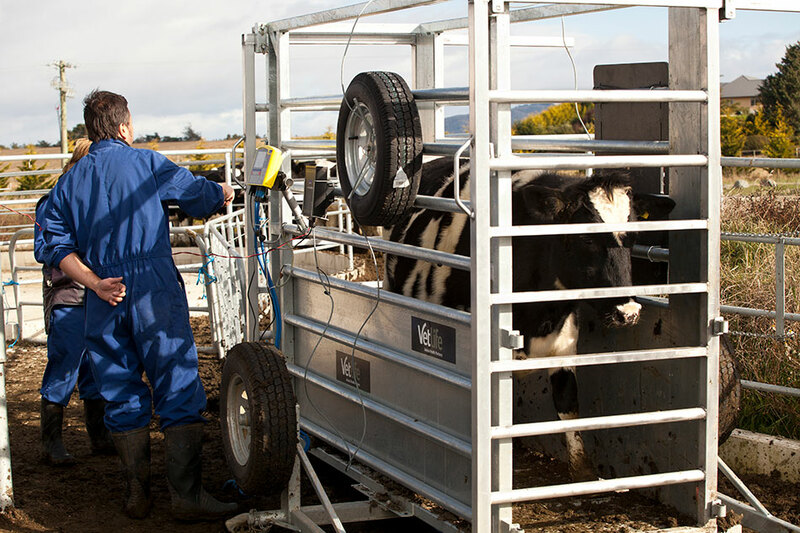 To obtain accurate genetic estimates for selection or culling purposes, DairyNZ recommends four double-sample herd tests each season. Weigh your herd - this data combined with herd test results will show you your most efficient cows. Weighing the cows in your herd will help you identify animals that are producing milk solids most efficiently. A cow with a high liveweight will be less efficient then a lower liveweight animal with similar production. As an industry, we aim increase the genetic potential of our cows for producing milk solids, while maintaining a constant liveweight. It is beneficial for farmers to weigh cows at least once during their time in the milking herd as this is likely to have a noticeable impact on their BW and PW indices. Take care with calving and mating records to ensure your replacement heifers have accurate BW's. Keeping accurate calving and mating records not only provides vital pedigree information for the replacement heifers in your herd, but it’s also essential for estimating a cow’s genetic merit for fertility. Cows that present for mating and calve earlier are generally more fertile. Therefore, it’s important to know a cow’s calving and mating dates to determine her genetic merit for fertility. Herd testing allows us to determine a cow’s productive ability. Herds are typically tested on various days across the season and that information is used to estimate the somatic cell count average and the milk protein, fat, and volume yield for the season. Weighing the cows in your herd will help you identify animals that are producing milk solids most efficiently. A cow with a high liveweight will be less efficient than a lower liveweight animal with similar production. Cows that present for mating and calve earlier are generally more fertile. Therefore, it’s important to know a cow’s calving and mating dates to determine her genetic merit for fertility.